What a truly exciting time we’re in! 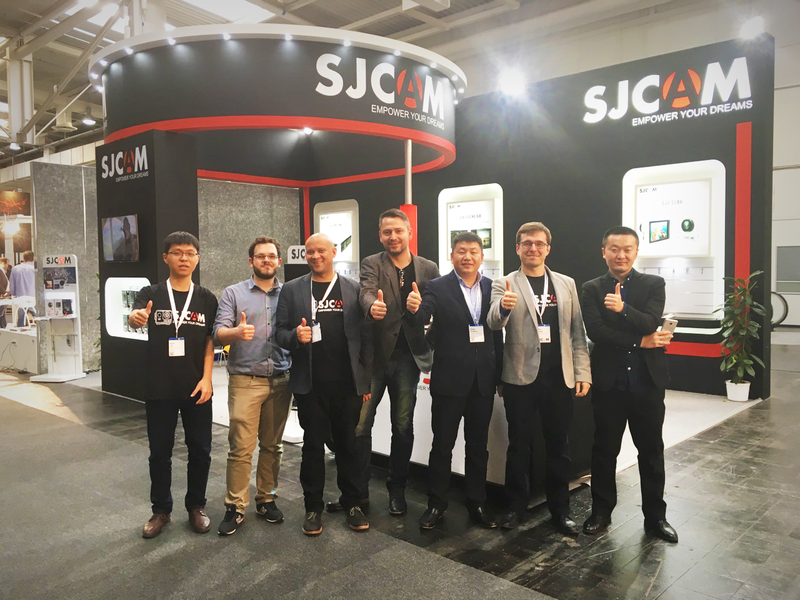 It was the first time for SJCAM to join CeBIT, one of the world’s biggest new-technology fairs that takes place every year in Hannover, Germany. The show was great, the SJCAM booth was situated right in front of the drone cage in Hall 17 (Unmanned Systems and Solutions) and attracted thousands of visitors: business individuals interested in partnership with SJCAM, end-users interested in our new models, and tourists eager to learn more about our brand. 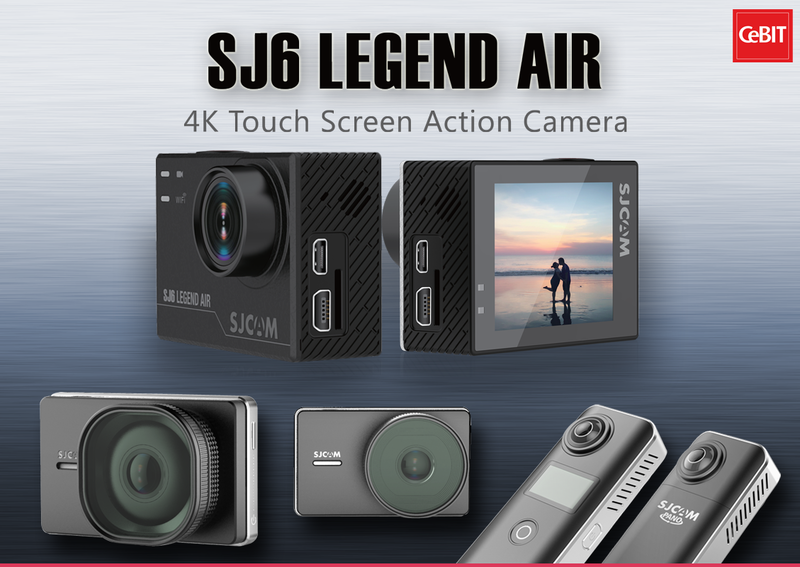 There were 4 new products unveiled, namely, the M30, the M30X, the SJCAM Pano, and the SJ6 Legend Air. The Legend was received by the public with amazing reviews everywhere, from the build quality to the touchscreen to the total feel of it. Some though, have no use for the front screen and prefer to stick with a lighter version to gain more battery life. Thus, the SJ6 Legend Air is born, and the visitors at the CeBIT-unveiling loved it! The SJCAM Pano is a full-spherical panoramic camera with 2 sensors that cover everything in full surround. The awesome camera is just gorgeous in it’s aluminum body. Except where the display is found, the front and back are almost identical with the placements of the lens. Now there’s not 1 direction that’s captured, there’s 2. These two are the long-awaited dashcam models. Some of their features are shared with other SJCAM models, and you will agree that these are cameras almost everyone has a need for. Details on all these models will follow as the development team is still working on finalizing the initial firmware and implementations. No release date as of yet as they will be available in the next couple of months so keep coming back for more news here!